Q. Do you have a customer satisfaction or refund policy? A. Yes! You will never pay for something you don't like. If you are not happy with your experience or the images I create for you, I'll pay you for your trouble! It's that simple. Quality service should not come with a risk. I know you will be happy. Q. What makes you different from other photographers? A. In one word... Me! Here's how... QUALITY: Any professional studio can produce acceptable images most of the time. In fact, the big difference from one studio to another is not the photography or the products they offer. It is the service and personality of the people that you interact with. I create portraits of people and the life events we experience. I record history and create images to spark memories and imagination. My goal is to draw out the personality of the people in my images and bring those images to life. You'll get the highest of quality and personal attention from Visions by Baker Portrait Art because I do all the photography myself. Your event will never be sub-contracted to "another" staff person. Even with this personnal commitment, event dates are exclusive, so I never put quantity over quality. VALUE: There is no such thing as one size fits all package! I do NOT use package plans. There is absolutely no need to purchase anything you do not need to get something else that you would like to have. (Did I mention, I don't like package plans?) Every event, Every client is unique. Q. How many pictures do you take? A. An average of 100 images per coverage hour are created when using digital equipment. With the online gallery, you will have the chance to see virtualy every image and purchase only those you wish. Q. How long do you spend with the bride before the ceremony? A. This is completely up to you. Many of today's brides are skipping this option in an attempt to save money. This is sad because I feel some of the most intimate and personal images come from this short time just before the service. Some pray, some drink, some do both! The point is, don't forget to capture the memories! You, your family, and your court have to get ready anyway. An hour to hour and half before it's time to leave for the ceremony is perfect to capture as much of the preparation as possible. Q. What are your qualifications or have you been professionally trained or certified? A. YES! There are new "professional" photographers listed online. In 100 miles, there are less than 100 who are Nationally Certified. I am proud to be a member of a group of true professionals who are among less than 3% of photographers across the United States who has reached this certification. Member of the Better Business Bureau of Central New England, Professional Photographers Association of New England, Professional Photographers of America, Wedding & Portrait Photographers International, International Freelance Photographers Organization, Model Consultant License #52810... Trained at the New York Institute of Photography and the New England School of Photography, but my best instructors... my Grandpa and life. Q. How much time should we plan for portraits? A. Plan for about an hour between the church service and reception, not including any travel time. I prefer to set aside about 20 minutes with the bride and groom after the ceremony and another half an hour for other family and wedding party portraits. This time depends on you and your needs. It can be adjusted as you wish. I don’t like to rush this part of the day, but I also don’t want to keeping your guests waiting. The best way to get the best of both worlds is to plan ahead. This is a time when everyone will want to stop and say hi and can slow your schedule down. Some couples try to save time by not having a receiving line after the service. I recommend you do have a receiving line so you can satisfy your guests and plan for that time. If you don’t have a receiving line, your guests could come find you anyway and may keep you from getting the portraits you want. For a receiving line with 100 guests, plan for about 30 minutes. Let everyone know before the service when and where to meet for your portraits after your other guests have left for the reception. Q. Will you take some portraits of me with my family? A. Of course. 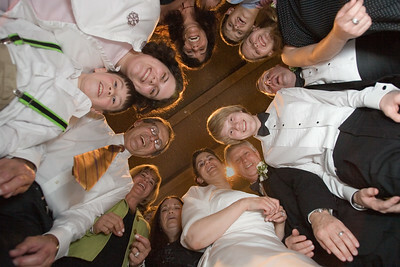 Weddings and other special events are the perfect time to do family generation shots, best friends, etc. When we sit down to plan the day’s schedule, we can talk about all the “must have” group images and many more can be put together during the reception at will. Q. How far are you willing to travel? A. I will go wherever needed. My standard rates apply within 100 miles from the studio. Destinations outside of two hours travel will be charged one or two nights lodging. Airfare and rental car will also be added if required. Q. What packages do you offer? A. All events are custom. I do not use "package" pricing so you never pay for things you don't want or need. You control your own budget and build your own "package". Q. Do you need a list of desired shots? A. A list may help you to plan who needs to be where and when, but I do not need one. Planning every image can prevent the activities of the day from flowing naturally. The checklist will be complete, but the overall feelings and emotions when put together ends up rather boring and will not represent your memories of the day. 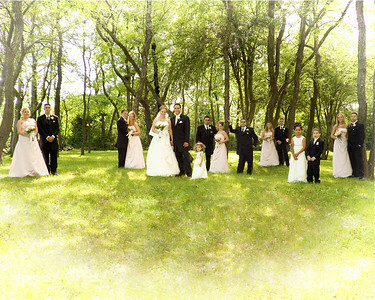 I will be more than happy to photograph any group or individual whenever you wish. I do my best to be sure nobody goes home without getting their picture taken. If they come, there will be proof! Q. Do you require a meal? A. Yes, thank you, but only if the event is longer than 4 hours. I do not take an actual meal break so I don't miss any important images. Q. How quickly will I receive my prints/album? A. Within a week of your event, I can load a preview of images into your online gallery. Then after you return from your honeymoon, we will meet again to review your first draft album design. Final delivery varies with the season and number of design changes, but are usually within 3 months. Q. Do you provide black and white photography? A. Yes. I photograph most events using 100% digital equipment which allows for multiple image styles. When I use film, I use professional grade color films and high resolution scans to create images in black and white, sepia tone, or even pastel. Q. What is your photographic style? A. FLEXABILITY! All events are customized to the people I photograph. After all, it's your event, not mine. My job is to create the images you wish to remember your day by. The style I use, whether it's traditional, contemporary, photo journalistic, or simply candid should reflect you, not so much me. I prefer to capture the natural expressions of you and your guests, not stage them. 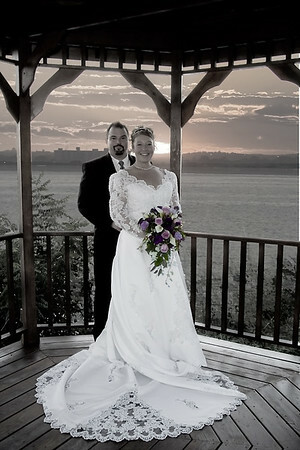 For weddings, I use a mostly traditional style for the service and more photo journalistic during the reception. Whatever "style" you're looking for can be done with as much or as little artistic flare as you wish. Q. Can I keep the negatives? A. The highest quality digital files are available on a Master Archive Disk. Q. Will I be able to order pictures online? A. Yes. 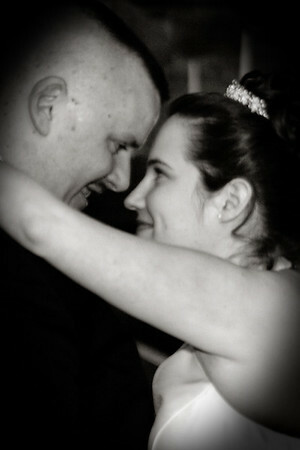 I can create an online wedding gallery where you and your guests can securely log in to view and order prints. Just like the other galleries on this web site. Q. Will you visit my event location before the wedding? A. If I have not photographed at the location you have chosen, I always check out the site before your event. Whenever possible, I will go to the rehearsal to meet everyone and help where I can. Q. Do you offer gift certificates? A. Gift certificates are a great idea! You may specify the amount you wish to give for any combination of services offered.